We’re very proud to be part of the popular Pigs Gone Wild art sculpture trail in Ipswich, raising funds for St Elizabeth Hospice. 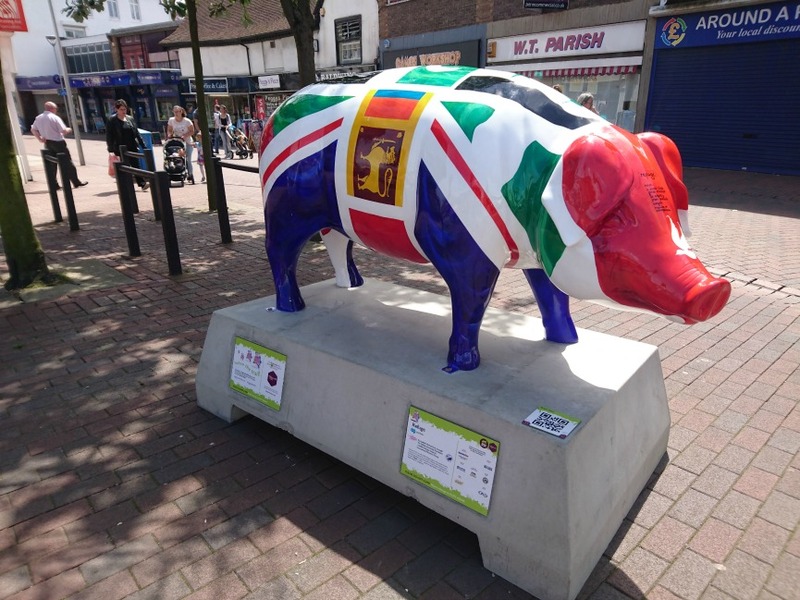 Artist Joy Pirkle worked with our International Women’s Group to design our colourful pig, which you can find outside the Ipswich Credit Union. Look out for the definition of ‘refuge’ adorning our pig’s head!